Next on The Scoop: Why Do Cats Have Whiskers? When deciding what to feed your cat, verdicts vary among pet parents. Some scrutinize the ingredients on the packaging. Others consult their veterinarians. Some shop for price or convenience. And, some let their cats decide what goes in the food bowls. 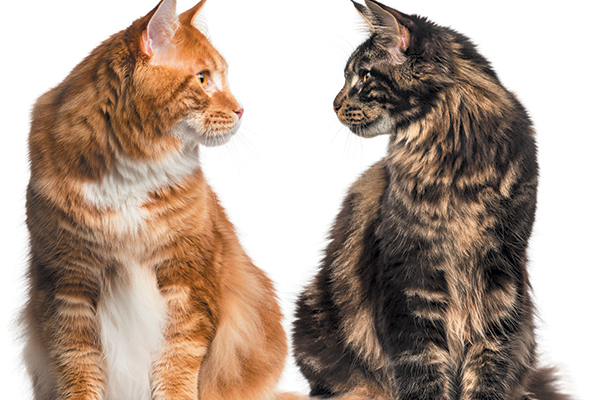 Which brings us to this ongoing debate: Which is better to feed your cat — wet or dry cat food? 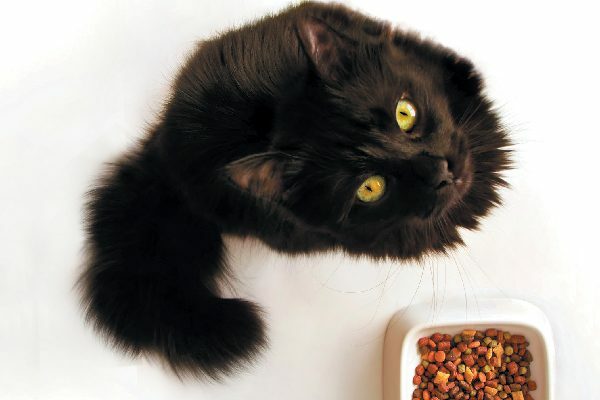 The answer isn’t clear cut when it comes to wet cat food vs. dry cat food. Why wet or dry cat food? It is important to figure out whether to use wet or dry cat food for your cat. Photography ©earth2015 | Thinkstock. 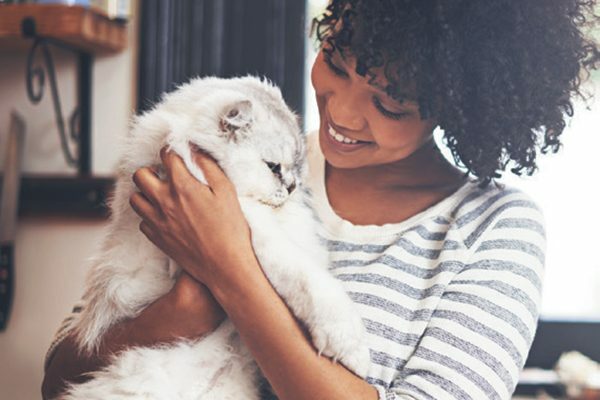 “I am absolutely in the camp of let the particular cat pick,” says Catherine Lenox, DVM, a board-certified veterinary nutritionist based in St. Charles, Missouri, who shares her home with a pair of cats named Sprout and Kiwi. Her cats are on therapeutic diets for food allergies and constipation issues, respectively. Both bypass wet food for the crunch of kibble. Dry cat food tends to cost less than wet cat food. Photography ©Atide | Getty Images. Enables cats to gobble down calories quickly due to being nutritionally dense. “The notion that dry food is better for cats’ teeth than canned food is a myth, pure and simple,” clarifies Elizabeth Colleran, DVM, past president of the American Academy of Feline Practitioners, who operates cat-only practices in Chico, California, and Portland, Oregon. However, kibble sports one-third the moisture in wet foods and that could be an issue if your cat does not voluntarily lap water up at the water bowl to stay hydrated. Wet food contains more water content than dried cat food. Photography ©Atide | Getty Images. It tends to emit a more beckoning aroma that could attract older cats who may have trouble eating kibble. However, wet food tends to cost more bite for bite and requires refrigeration once the top is opened. 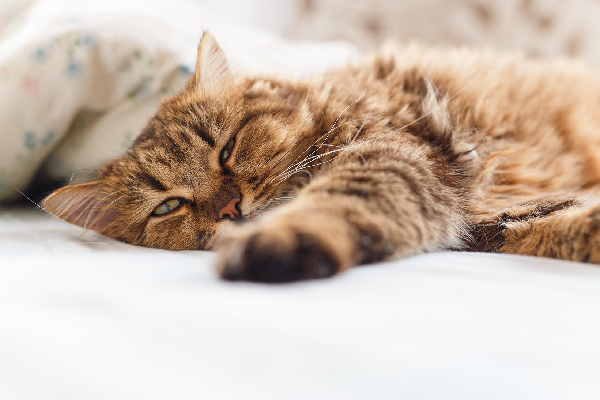 “For healthy cats, there is no evidence to suggest that one form of food — dry or canned — is better than the other,” says Dr. Lenox, a diplomate with the American College of Veterinary Nutrition since 2011, who serves as the scientific affairs manager for Royal Canin USA. Pay attention to your cat’s food preferences when deciding to use wet or dry cat food. Photography ©mapodile | Getty Images. So, what else should you take into account when it comes to wet or dry cat food? Dr. Lenox also notes that cats have fewer taste buds (470) than dogs (1,700) or people (10,000). And cats definitely have personal preferences based on food shape, texture and flavor as well as size and aroma. Even with wet food, some cats prefer gravy or slices or pate of the product made by the same manufacturer and containing the same ingredients. The bottom line on wet or dry cat food: Work with your veterinarian, and pay attention to your cat’s food preferences in making your decision when it comes to wet or dry cat food. 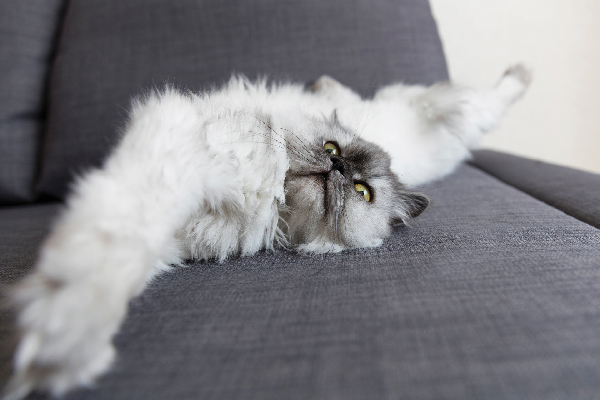 Tell us: Are you a fan of wet or dry cat food? I have had four cats and all have been on dry cat food. I just do not like the odor among other things of wet food. There are at least four water bowls down throughout the house. My younger one prefers the faucet in the bathroom. What I am learning is that I have to portion control the dry food. No more leaving full bowls 24/7 for them to graze. RJ Teach, unfortunately, your cats are more susceptible to kidney disease eating a dry food diet. The extra water that can be added to wet food is beneficial to cats. They need all the water they can get and process properly. Cats are obligate carnivore that requires meat protein, plain and simple. They are miniature predators. Kibble is not a species appropriate diet, yet people continue feeding their cats kibble because it is ever so convenient for the owners. Dry food contains loads of carbohydrates which cats cannot digest easily, lacking amylase in the mouth. Cats thrive on food that is low in carbs. High carb foods are not by any means an ideal diet for our mini- carnivores. Dry foods are just that- dry, and water is essential for cats. So as far as I am concerned wet or raw food is what helps to keep our cats healthy. This article totally misses the mark! The pros listed in favor of dry “food” are aimed at convenience for the owner and not the health of the cat (cost less, don’t need to refrigerate). And comments like “no evidence of dry or canned being better than the other was written by someone who works for Royal Canin (junk food). Of course, they want to sell whatever makes the most money for them (dry). the sad truth is that far too few people have yet to really find out the truth about commercial pet food. But once most people do find out, they’re appalled, and soon realize that they must stop feeding this crap to their pets and find another alternative. 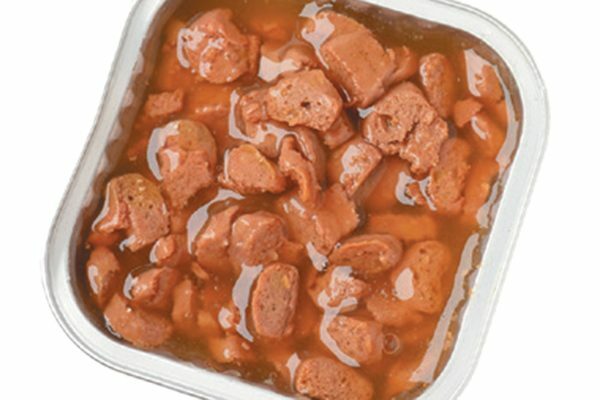 If you’ve yet to dredge up for yourself the truth about what’s really in commercial pet food, the subject is extremely unpleasant to say the least, and not for the squeamish. However it’s something that’s very important for you to know if you’re going to make an informed decision about what to feed your pet. Used grease from restaurant deep fryers and grease traps, road kill, dead zoo animals, diseased, cancerous and worm infested entrails and body parts, and what are called 4D livestock, right along with their pesticide impregnated ear tags, are also all fodder for rendering plants. “4D livestock” refers to those animals that don’t make it all the way to slaughter because they’re either diseased, disabled, dying or already dead. And as difficult as it may be to believe, there is also evidence that the bodies of at least some of those domestic cats and dogs euthanized at kill shelters and veterinarians also end up being sent to rendering plants, often wrapped in plastic bags with their pesticide infused flea and tick collars still strapped around their necks. And no one at the rendering plant stops to remove either the plastic bags or the flea collars, which are processed right along with the dead bodies! 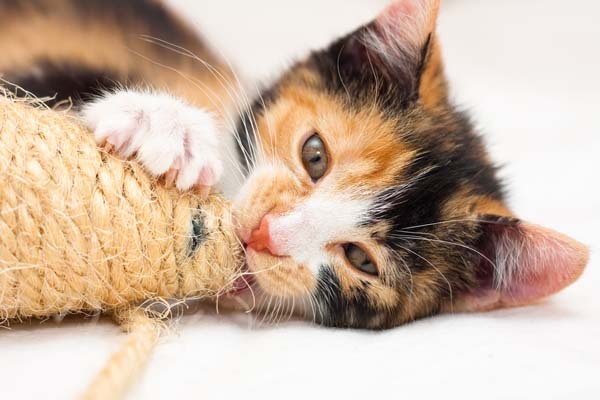 For cats with any tendency toward urinary tract problems, it is dangerous to their health to feed them kibble, no matter how much they love it. The shelter where I adopted our two kitties fed them kibble, and it took me a long time (months) to get them completely converted to an all-wet-food diet, after our neutered male cat developed FUS. The vets weren’t much help until I found Dr. Lisa Pierson, who spelled out on her blog how to convert die hard kibble addicts to a more healthy wet food diet. Thank you, Dr. Pierson. Thank Goodness somebody already pointed out that extruded kibble (or dog food, or rodent food) isn’t as healthy as wet (or raw/fresh) food. Wasn’t there a feeding trial at the Univ. Helsinki where they showed that dogs on extruded diets had higher inflammatory markers than dogs on fresh or wet food? it was done in a vet school if I remember correctly. 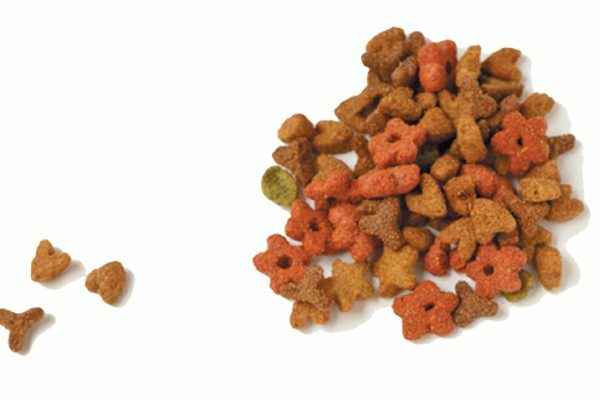 Extruded dry food is only so long convenient until the animal’s health is compromised. But thanks for starting this discussion, I hope people read comments otherwise they come away with a sickening message. I have always been a dry food only server. I always thought that wet food was bad for their teeth, and is inconvenient when you have to travel and leave them home. I just got a new cat from a rescue after not having one for 20 years. After reading this article and reading all the responses…maybe I will switch to both. I will definitely talk with my vet before I do anything. Your vet won’t help. They no nothing about nutrition and will push science diet and other vet sold foods. If you do Facebook, I would recommend joining a kidney disease group for people with cats. It will help. I feed all four of mine werva can food. You can buy it at Chewy.com cats do not drink enough water on their own like dogs do. If your cat is drinking from the faucet or toilet, then they are dehydrated. I fed kibble for a long time until one of my cats was diagnosed with early kidney disease. Now she is thriving on the wet food and her kidneys look better according to her vet. I feed far more wet than dry. Dry is out for them and they eat it but the biggest amount comes from wet. I foster so I go thru a lot of food. years ago I feed very little wet but I have since learned they are way better off if they eat more wet food. I couldn’t agree more with Linda and Diane. Dry foods have no nutritional value despite what manufacturers want you to believe. They contain way more carbs than cats are biologically designed to eat (<10%) and they are filled with additives, preservatives, fillers, questionable and toxic "meat" products, and synthetic vitamins and minerals. Cats in the wild don't go to the store to get kibble; they eat a raw, prey diet. To give cats the very best chance at a long, healthy life stay away from dry, processed food and feed a wet diet at the very minimum. Ideally a raw or homemade diet is best. Convenience and health don't always go hand in hand. The carbohydrate ingredients in dry food create an inflammatory effect in the cat's body, and chronic inflammation has been linked to diseases/health issues including pancreatitis, diabetes, IBD, lymphoma and cancer. By feeding a species appropriate diet to begin with you reduce the likelihood of your cat developing these diseases. When I read this article I felt like cursing! Specially about the carbohydrate BS. It is my understanding, from several sources, that cats’ digestive systems do not process carbs. I even read it in a special issue of “Scientific American” that was all about cats and dogs. I find it disturbing that a board-certified veterinarian nutritionist doesn’t see what a downfall to the health of her (and all) cats that feeding processed dry food is. Would she feed her human children processed cereal for their whole lives? And sure, let them eat “death nuggets” if they want? And Dr. Bartges’ comments are just as disturbing saying “theoretically” cats will take in more water with canned food and “more opinion than fact” that it “might” help with urinary disease. These are definitely two veterinarians who were taken in by the teachings at vet school subsidized by dry pet food manufacturers and neither apparently has actually done any studies about the benefits of a species-appropriate diet for cats (and dogs, I’m sure). These vets need to do actual research on this subject as it is obvious none of them have done so. And people who continually say that their cats are healthy and happy on dry food now…just wait until they’re older and the lack of moisture and eating all the garbage that’s put in manufactured pet food catches up to them and they get kidney disease, diabetes, and other problems. That isn’t to say there won’t be those very few that get lucky (I actually had one myself when I didn’t know any better), but common sense dictates a species-appropriate diet. Exactly! I used to feed kibble until I got wise and started researching. I have a cat in early stages of kidney disease so when She was diagnosed I changed to wet food. Now all of my cats are on Human Grade wet food and I also add water to the food. You can’t over hydrate a cat. My cats at age 8 always had very high quality canned, then recently I did careful research and switched to a balanced homemade diet. After a few weeks of the homemade (which they love, is cheaper, and HAS to be healthier at least for meat quality) I’m away for 4 days so my dad is feeding them the cans I had left over. Both of them have been barfing up the canned food they used to have no problem with. Interesting. From now on I’ll make enough homemade to last when I’m gone. Where did you find a recipe for a balanced homemade cat food? I would love to make my cats homemade food. The best resource I’ve read on cat diet and nutrition is Cat Info . It’s not a short read but if you value your cat’s health and well being it’s a must. Short story is NO dry food, wet food only. Even the cheapest wet food is better than dry but there are some high quality wet foods that won’t break the bank. Much more than that.. do read it. I have two cats in their teens, both have been healthy and get both canned and dry food daily. Canned in the morning and all day buffet dry kibbles. The oldest cat also gets a bowl of lettuce every night, yes she loves it but must be red lettuce and spinach. They each have their likes and dislikes when it comes to canned food, they know what they like and I am there to serve. That’s so funny about your cat eating red lettuce and spinach! I have one cat that loves it, too. He hears me getting the plastic container out of the refrigerator, and shows up in the kitchen right away. It was clear that he preferred the red lettuce when it came to salad. I didn’t think he would go for the spinach and I told him so, when he was meowing because he heard the plastic container. I held out a leaf of spinach and he quickly nibbled it right off the stem. I have always fed my cats dry food, but with the addition of my latest baby to the family (who unbeknownst to me was pregnant) I felt she needed some extra nutrition, so I began adding wet food to her daily regimen. She’s rather picky and won’t eat food from a can that has been refrigerated, so I switched to giving her a bit of tuna daily to substitute for the canned food. She’s happy and healthy, so a bit if both is best for us. Both! No matter what you choose to feed, make sure it has protein as the first ingredient, no corn or soy. If you can avoid artificial colors and ingredients, that would be ideal too. Some also need to be grain free and then watch again to make that the carbs are good and that there is added taurine in the food. Taurine is very important and when switching to a grain free diet, you must find taurine in the ingredient list to prevent problems. Why not give both! My babies get wet in the morning and dry for dinner. All my cats came from shelters and, thank goodness, have never been sick. Would you want to eat cereal all day, every day?! Cat owners I know who give only dry, always have to get their cats ennemas at the vet so does dry cost less (my dry food is pretty expensive). Both is best. I have to agree with you. I give mine both. Who wants to eat the same thing day in and day out. And each one of my cats prefers different flavors and only 1 will eat the pate the rest want slices or chunks or flaked but will not touch the pate even if they have nothing else. They would rather starve. Cats are very interesting and very different from each other in so many ways. 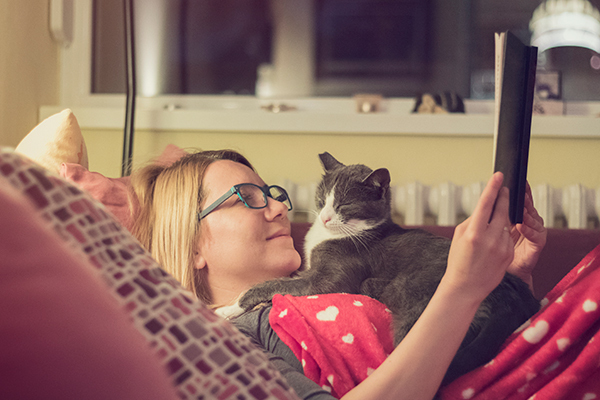 Cats have a way of letting you know exactly what they like. I love my babies and do whatever it takes for them to be happy and healthy. That’s all that matters. I agree! I give my two a big breakfast in the morning which consists of 1/4 cup each of Fromme’s game bird kibble mixed with some wet food. At night, they get a can of fancy feast; water throughout the day and there’s kibble left out for snacking. Cats are OBLIGATE carnivores and as such, must eat a species appropriate diet. Letting a cat choose their food? Uh, no, makes about as much sense as giving a toddler a choice between a happy meal and a salad. Dry food is kidney disease in a bag. You are so right, Linda. Why people continue to feel that processed dry food has any merit to the health of their animals is sad. If you had a pet snake and fed it salad, it would die because it wouldn’t eat salad. Why? Because that’s not the food it was designed to eat. The only reason our pets eat the dry death nuggets is because it’s sprayed with flavoring that make it like candy to kids. And it’s “easy” for their owners (that says it all pretty much). I was the same way until I learned better. I wish I could go back and feed all the cats I ever had in my life with a species-appropriate diet. I’m sure I would have had them all in my life so much longer.